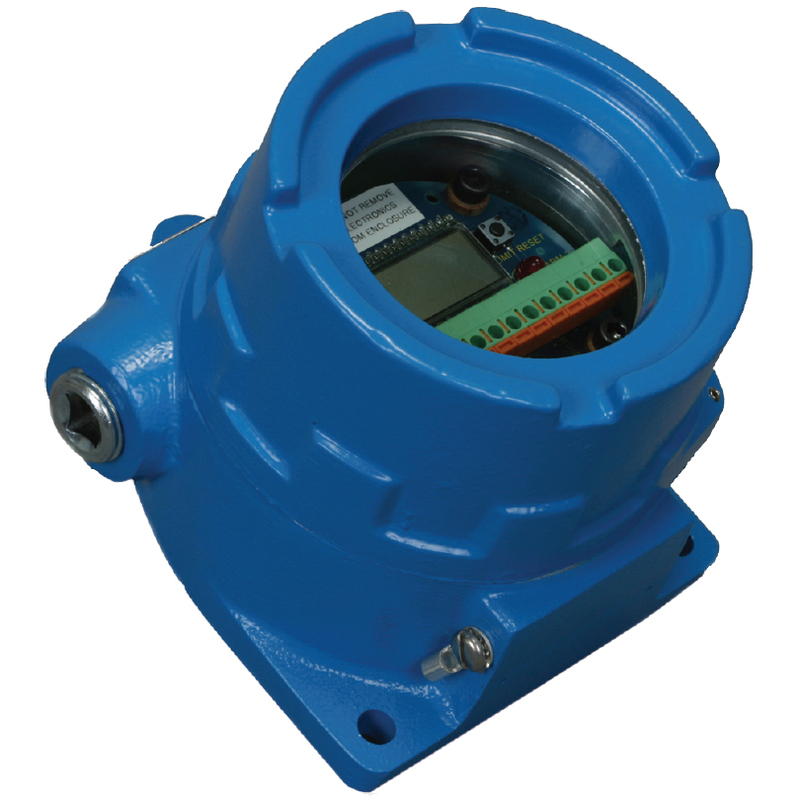 The 1-895 is a versatile multi-purpose vibration switch. It features a built-in accelerometer and solid state electronics. The 1-895 is available in a variety of ranges. The 1-895 constantly monitors the vibration levels on critical machinery and provides timely feedback in the event of machine breakdown. There is a 30-second monitor start-up delay that is initiated by the application of power or the grounding of the start input. The delay does not begin until the start input is released. The current vibration level is displayed on a 3-digit LCD, and output on a proportional 4-20 mA current loop. The alarm levels are set by two front-panel push-buttons and the display. Two alarm indicators are present and indicate when an alarm level is exceeded. The corresponding output is also enabled. The alarms are latched and must be reset at the 1-895 or via a remote alarm reset input.